There are few places to safari in Africa that can be thought of as truly different from the rest, but this 3 day Fly-in Classic Ancient Culture Encounter offers something really special. 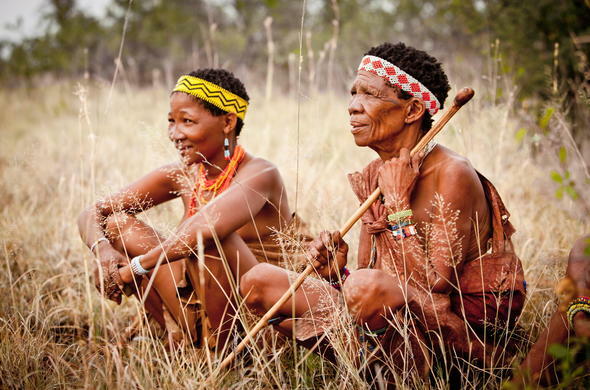 The Kalahari is a place of legend and is often misunderstood, but this Cultural Safari Package offers the opportunity to gain an unprecedented understanding of this fascinating region through the eyes of the original people of the area, the Bushmen. This Botswana safari features one of the most romantic bush camps in Africa and is ideal for couples and those who would like to go on an expedition. 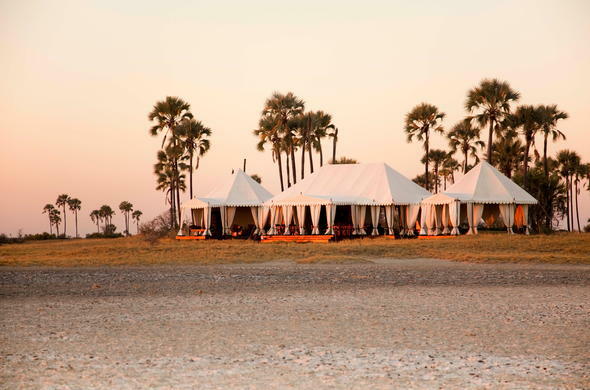 Set on the edge of the Makgadikgadi, the largest salt pans on earth, the camp is perfectly situated to provide an unforgettable Botswana holiday experience where silence becomes your friend and space your protector. 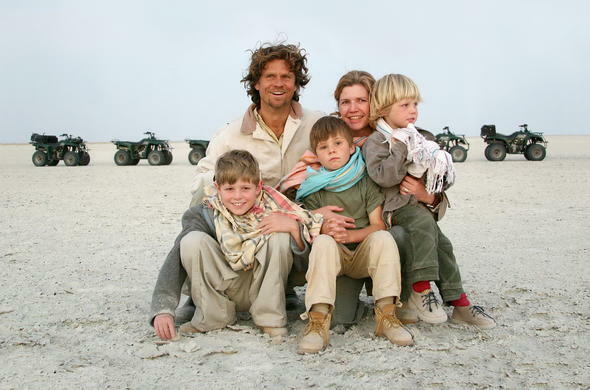 Walks with the Bushmen will reveal ideals that make materialism seem so unnecessary and wasteful, while the game drives showcase some of the Makgadikgadi's unique wildlife such as the rarely seen Brown Hyena. Upon arrival in Maun from Johannesburg, you will be transferred by light aircraft to your camp on the edge of the Makgadikgadi Pans where you will spend 2 nights exploring this fascinating part of the Kalahari. You will learn of the unique wildlife and be taught survival skills on game drives and walks with the Bushmen who live in the area. Quad biking on the pans teaches the healing qualities of space and silence. An early morning call signals one of the greatest days of your life where you will learn the intricacies of the Kalahari. Ride out onto the pans on a quad bike and experience space like never before and learn to appreciate the value of absolute silence. 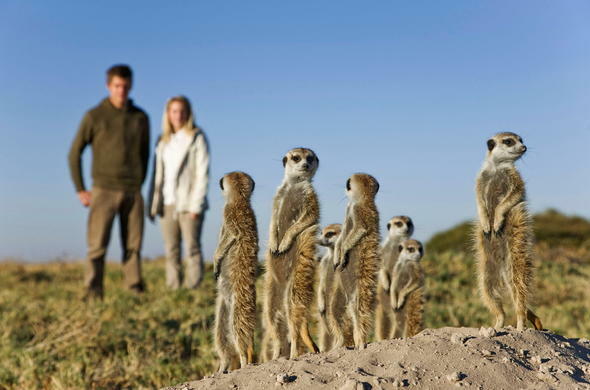 The Makgadikgadi Pans offer an African safari with a difference, an experience that will live long in your memory.There is the opportunity to follow a habituated group of wild Meerkats as they go about their daily business, and so unconcerned are they about human presence that they will sometimes even use you as a lookout post. The night skies in the Kalahari are an experience that will awe you with their immensity. This is the final day of your Botswana holiday. You end your Cultural Safari with an early morning wake up which will allow time for a last activity before breakfast. You will take a light aircraft flight to Maun which connects with your return flight to Johannesburg O.R. Tambo Airport, after one of the most rewarding safaris in Africa. This 3 day Classic Fly-in Makgadikgadi Cultural Encounter package includes scheduled flights ex/to Johannesburg O.R. Tambo Airport. This Botswana package can be also combined with a stay in the Okavango Delta.